White marble. 6 feet high. 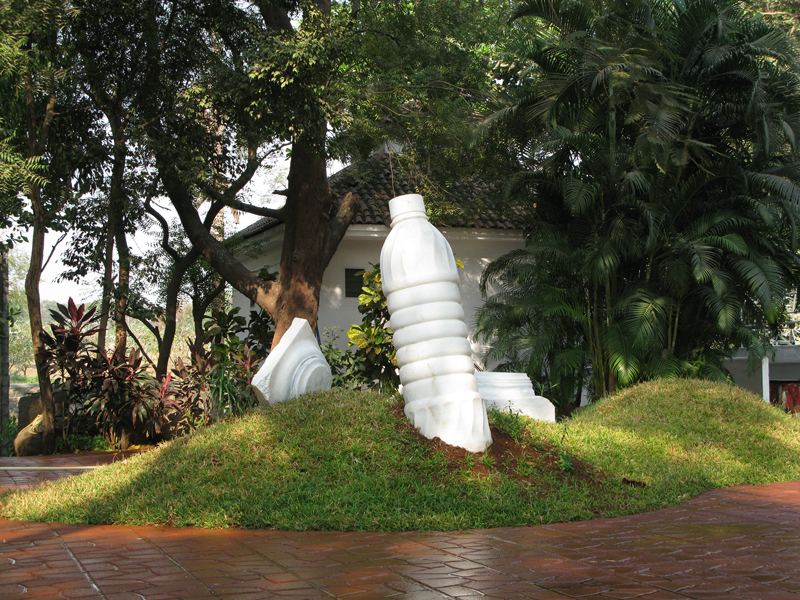 Created during a sculpture symposium with the Harmony Art Foundation in Navi Mumbai, India. Permanent collection of Reliance Industries art collection. It was created with the assistance of the team of professional stone carvers from Makrana. The concept behind the work was questioning what the ruins of the future will look like. In an era where we are inundated with plastic, and especially plastic bottles, will plastic be all that remains? A 16” x 20” print of this work is also available for sale. It is printed on a quality rag paper, with matte finish to provide optimal colour saturation. Message artist for details, or visit her Etsy page here.